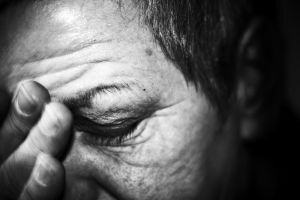 “Canadian researchers found that among 552 bowel-disease patients they followed for a year, the risk of a symptom flare-up increased when patients were feeling particularly stressed. The findings, reported in the American Journal of Gastroenterology, lend support to what many people with inflammatory bowel disease (IBD) have believed to be true. Read the full Canada.com article here. Some evidence suggests that those predisposed to conditions like those listed above have an increased risk for developing colorectal cancer. Managing stress is important for your overall health, including that of your digestive system. Stressed out about an upcoming procedure? Are you experiencing the stress that may come when caring for a loved one? The BC Cancer Agency has published a Managing Stress section of their website where you can learn to reduce stress levels for a more happy, healthy you. Print article This entry was posted by KaitWallace on 16 April 2010 at 9:25, and is filed under News. Follow any responses to this post through RSS 2.0. You can skip to the end and leave a response. Pinging is currently not allowed.